This is a 1966 ROLEX Oyster Perpetual Datejust THUNDERBIRD stainless in steel steel, with crisp, 14k. solid gold THUNDERBIRD bezel. 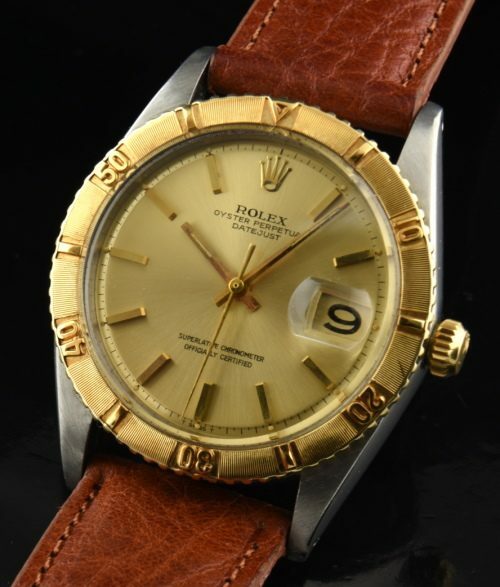 This ORIGINAL gold dial is VERY clean overall and retains the original baton hands. The caliber 1570 automatic winding movement was just cleaned and is accurately keeping time. The 36mm. stainless steel case and solid gold turning bezel look excellent. 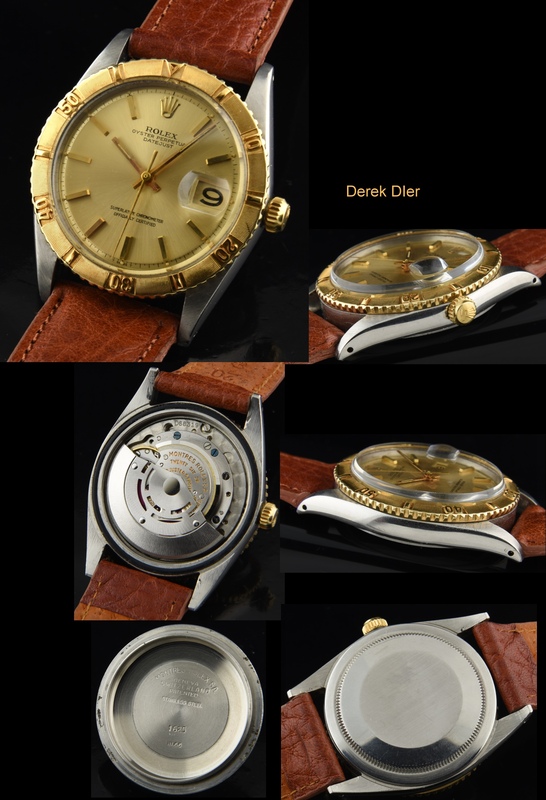 This Rolex Datejust Thunderbird watch is all original is as clean as they come. In my opinion, these watches will escalate in value in the future.